Mitt Romney’s videotaped remark to wealthy supporters that 47 percent of Americans “believe they are entitled to health care, to food, to housing, to you-name it” and that “my job is not to worry about” people who won’t “take personal responsibility and care for their lives” was pretty stunning any way you look at it. 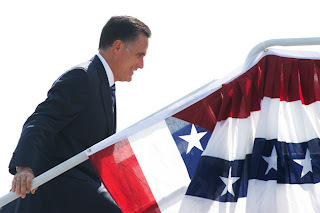 It cements the impression of Romney as someone who cares only for the rich. It shows a contempt for others that had previously existed only in Democratic attack ads. It writes off half the nation. And it diminishes and undermines the substantial tradition of conservatives who do care about helping the less-fortunate. In this way, Romney’s self-revelation illuminates a troubling shift within the Republican Party that he has now come to embody. First, some context: It’s true that 47 percent of workers paid no federal income tax in 2010. But Romney is wrong to imply they didn’t pay any taxes. Most paid Social Security, sales, payroll, and property taxes. Many paid a higher percentage of their income than Romney did. The Congressional Budget Office estimates that only about 10 percent paid no federal tax at all, and most of those were retirees. He exports jobs and then whines about redistribution. I am sick of hearing how much taxes the rich pay. They don't pay in proportion to percentage of what they own. They should since we are capitalist. Even disabled people have doctors, section-8 landlords and social workers living off of them. And those disabled people were at one time healthy taxpayers. It's not our job to take of Romney. Please vote for Obama. 'From each according to his ability, to each according to his need '...Karl Marx. If there were no section 8 landlords the great rabble would be living in the street. II Thessalonians 3:10 'He who does not work, neither shall he eat'. The Bible. We who pay the taxes are sick of little morons like you complaining that we dont pay enough. Romney is a jerk. Obama is a Marxist. A jerk wont kill you. A Marxist will. Stay home rather than vote for Obama. This country was not built by the parasites. Enough excuses already. Most of the 47% are just along for the ride, as long as someone else is paying their ticket. Remember, you can only skin a sheep once. Change voting law to reflect eligibility based on taxes paid in. Minimum threshold set to $1000 Federal taxes. If you don't pay for the party you don't dictate what food is served.